This was a very good weekend for SDUSA. 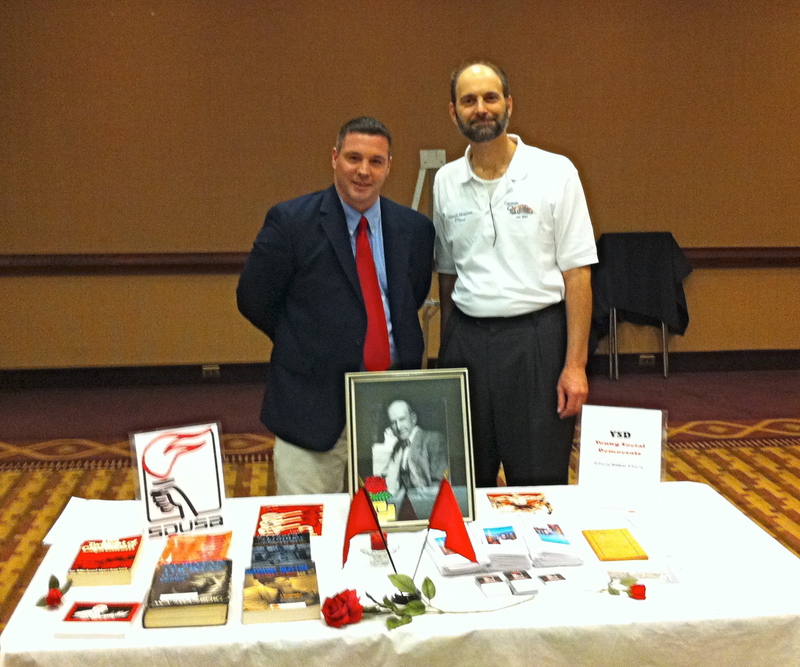 We participated in two events, one in Buffalo and one in Pittsburgh, both very much oriented to the SD’s core mission. The first event was the annual awards dinner for the Coalition for Economic Justice. It was held at the Convention Center in Buffalo on Friday evening. As its name implies, the CEJ is a coalition of labor unions, community groups, and public officials who are dedicated to raising the standard of living in Buffalo by reducing the outsourcing of good paying jobs to other countries and by raising the wages of typically low paying jobs. During the past year CEJ succeeded in getting a living wage ordinance passed in Buffalo and organizing janitors at HSBC Bank (a large institution that owns a high rise office tower and a sports arena). It’s now moving on to new challenges. The affair was heavily attended by local union leaders, and politicians who are seeking election this week. The SD was represented by local Buffalo member and YSD chair, Michael Mottern, and me, National Co-Chair Rick D’Loss, who drove up from Pittsburgh for the event. Michael did a beautiful job of organizing our participation, and the table as well. It was impressive! We made good contacts and enjoyed ourselves in the process. 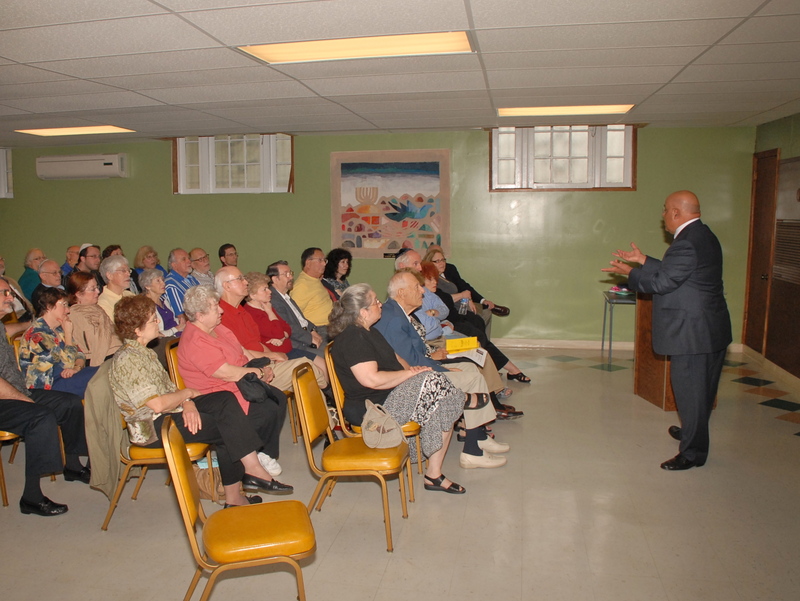 And then on Sunday afternoon, SDUSA co-sponsored a speaking engagement at Congregation Ahavath Achim in Carnegie, PA, near Pittsburgh. About 50 attendees listened to Dr. Youssef Ragheb talk about his personal experiences growing up in Cairo and protesting the Nasser government in 1968. Then he compared his experiences with the recent revolution. He said that the government security force in Egypt has about 1.4 million police, and everyone lives in fear. A person can disappear for simply saying the wrong thing in public. But he shared with us an encounter that he had last year that demonstrated that things had changed. He was visiting Egypt on vacation and talked with a waiter at his hotel. The young man had a masters degree in engineering but unfortunately was waiting tables in order to make a living. He was extremely frustrated about his job prospects and not afraid to say so, even though a co-worker warned him to keep quiet. “Egypt is a pot that is ready to boil over”, the waiter said. True enough, on January 25 of this year, a million people walked into the streets knowing very well that they could be shot by the police.